Some of the most important decisions you’ll make naturally are those which influence the creation of your will. When you consult an estate planning attorney in The Woodlands, you’ll receive sound legal guidance on what to include in your will , how to choose an executor of your will, and how to reduce the risk of a contested will. Of course, when the time comes, the attorney can also probate the will. When you watch this video, you’ll hear some factors you should consider when it’s time to create your will. This financial adviser recommends naming contingent beneficiaries in addition to primary beneficiaries, just in case the primary beneficiaries pass on before you. You should update your will whenever you experience substantial life changes. It’s often thought that following a death, an individual’s will is always executed according to his or her wishes. But in fact, some heirs in The Woodlands may challenge the will. A contested will can result in potentially irreversible damage to family relationships and if the will is found to be invalid, the decedent’s wishes may not be respected. To prevent a contentious will contest , you should seek the counsel of an experienced estate planning attorney. One reason why a survivor of the decedent may challenge a will is because it was improperly drafted, or, perhaps, no one properly witnessed the decedent as he or she signed the will. By hiring an attorney to create your will for you, you can significantly reduce the risk that it will be declared invalid. Texas law recognizes two basic types of wills. Holographic wills are entirely handwritten by the individual. Holographic wills do not need to be signed by witnesses, although two witnesses will be required to prove the individual’s handwriting after the death. More commonly, residents of Texas create attested wills, which are typed written. You can make your attested will valid by signing it in the presence of at least two witnesses who are over the age of 14 and who have no interest in the estate. Although it can help, a “no contest” clause is not a foolproof way to prevent a will contest. You can instruct your attorney to include this clause in your will. This clause provides for the disinheritance of anyone who unsuccessfully challenges your will. Unfortunately, Texas courts are reluctant to enforce such clauses in certain instances where a will contest is filed in good faith. Wills may be contested when one or more beneficiaries become disgruntled with their share (or non-share) of the estate. In short, a will contest is often a way of attempting to obtain more of the money from the estate, or to obtain a particular prized family heirloom. If you feel that your decisions may be deemed controversial among your survivors, then you may decide to explain these choices within the text of the will or even by video at the time of the will signing. A less aggressive option might be to choose to discuss the matter directly with your beneficiaries so that they will understand your choices after your death. 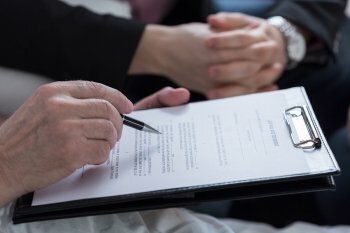 A living will is an important document that not only protects your estate but also ensures that your wishes are honored in the case of a medical emergency. To make sure that your living will is executed properly, it is necessary to get the assistance of a will attorney in The Woodlands . Watch this video to learn about the medical directives that can be included in a living will. These directives include your wishes for life support and resuscitation should you enter a vegetative state or suffer a severe injury. Because of the complexity of these issues and the need to be very specific about potential scenarios, having an experienced lawyer is crucial to protect your living will from challenges. Trusts are estate planning tools that are used to transfer property to someone to manage it on behalf of the property owner for a beneficiary. Trusts can be helpful in keeping all or part of an estate out of probate, saving beneficiaries a great deal of time and money. As with all parts of estate planning, it is crucial to work with a will lawyer in Houston when setting up a trust to make sure it is properly executed. 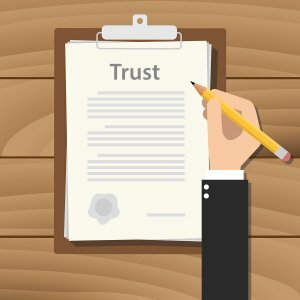 When a trust is established, the beneficiaries and the trustee who will manage it must be identified. The trustee is obligated to manage the trust solely for the benefit of the beneficiaries. Failing to do so means that the trustee could be removed. Trusts can be used in conjunction with a will or instead of one, depending on your individual estate planning needs. Your will lawyer will consider many different factors, including the size of your estate and your designated beneficiaries, to help you decide how trusts can factor into your overall estate plan.